Samsung Galaxy S8 is going to be unveiled today. The famous tipster evleaks has released the stock Samsung Galaxy S8 Wallpapers. Galaxy S8 is the latest flagship of Galaxy series. Samsung Galaxy Note 7 proved to be a disaster for Samsung. All the hopes and eyes are on Galaxy S8 now. Samsung is going to release two models of their flagship. Although, I couldnt figure out much difference between two. But the Galaxy S8+ seems to be slightly wider the Samsung Galaxy S8. Although, we will get to know the actual difference between the two once the phone is unveiled. 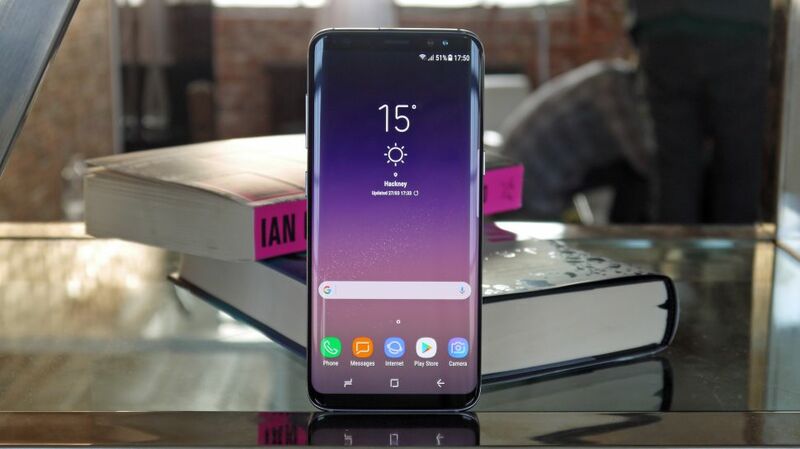 From the leaks we can see that there are number of sensors and multiple camera on the top bezel. Presumably, there are going to be number of new features in the upcoming phone. Along with the standard front camera on the top bezel. There is going to be Iris scanner as well. It was first introduced on Galaxy Note 7. Till now, it is said that Galaxy S8 will come in three colors black, silver and grey. There are just few Galaxy S8 wallpapers, brought to us by the famous tipster evleaks. As we get more wallpapers, we will update this post. So keep a check. Last update 2nd April. The new Galaxy S8 can be said as the most beautiful smartphone out there. It has minimal side bezel and magnificent display. Download Zip file of Galaxy S8 wallpapers from here. Just download the file and extract it on your phone using file manager or extracting app like Zarchiver. Samsung Galaxy S8 will be released in USA on 21st April. For the rest of the world the release date is not confirm. Most sources are saying that it will be released all over the world on 28th. This is all we have on Galaxy S8 wallpapers. As soon as we get out hands on more wallpapers, we will update this post. Share with us your views and thoughts about Samsung Galaxy S8 and S8+ in the comments.